Leaving the house should be a fairly simple process but we all know that often it isn’t. We may be in a rush to get somewhere, already pre-occupied with where we’re going or maybe even still half asleep. Those of us with young children will also know that getting out of the house in one piece with all children and their various belongings and requirements can be an achievement in itself! It’s not surprising then that, despite best intentions, we’re not always as focused on home security as we perhaps should be. That’s why we’ve put together a 6 point checklist for leaving the house: 6 simple things that you need to remember to do before you go off anywhere; whether you’re going away on holiday for a fortnight, leaving for work for the day or even just popping out to the shops. Having a visual checklist like this means you don’t forget anything, plus it saves you lying on that beach or sitting at your desk at work thinking ‘did I lock the door? Did I close the garage up?’. 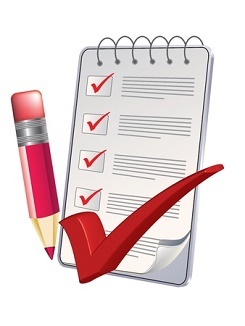 We advise that you print the checklist out and keep it by the door. You can download it here. If you require any further home security advice or have any concerns about your locks or alarm then you can give us a call on 0345 833 5543 or send us a message. previous Could house sitters prevent burglaries?